The new poster also makes it clear Marvel is letting Guardians director James Gunn fly his freak flag high. 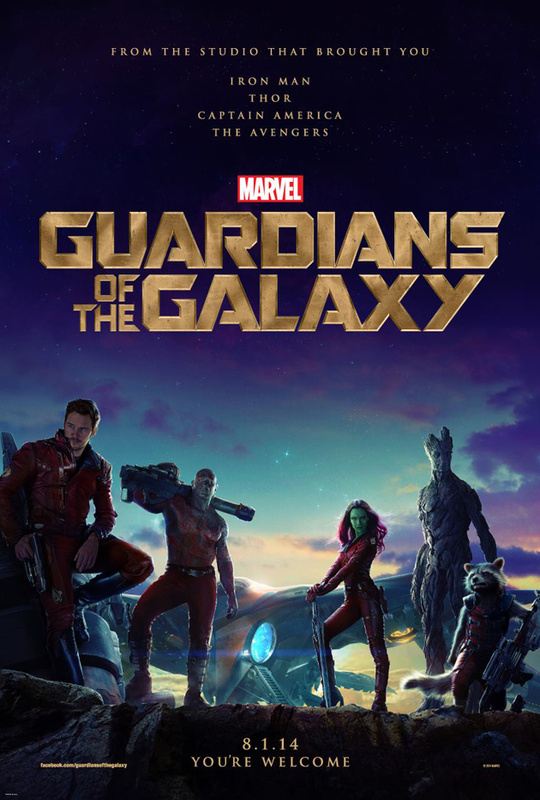 Two days after the first trailer's premier, Marvel's Guardians of the Galaxy marketing continues apace with the release this afternoon of the first official poster. Lining up our heroes in a pose straight out of Firefly, the poster's tag line is a terse "you're welcome", giving fans of the director's previous works further hope that we're getting a James Gunn movie first and foremost. 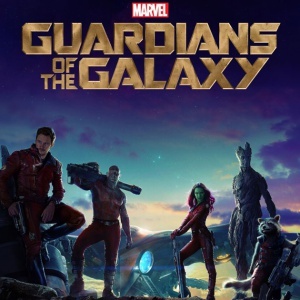 Guardians, in which Chris Pratt's Star-Lord teaming up with interstellar outlaws Gamora (Zoe Saldana), Groot (Vin Diesel), Rocket Raccoon (Bradley Cooper) and Drax the Destroyer (Dave Bautista) to stop Ronan the Accuser's (Lee Pace) evil plans, looks so far to be as close as any Marvel film has come to a straight-up comedy. And I'm fine with that. Blasters are firmly in hand, tongues are firmly planted in cheeks, and I'm drooling. Prediction: this is going to make a great double feature with The Ice Pirates someday. Did we need to be reminded that this is from the same studio that gave us The Avengers? Probably not, but if it convinces a few more people completely unfamiliar with the series, I'm fine with a little pedantry. Have a look at the full poster below.